On Nov. 17, journalist Scarlett Fakhar was fired from her job at a Houston Fox affiliate television station after she took to her private Facebook page to applaud the election of Donald Trump and point out the problem of black-on-black violence in this country. Following her termination, she accused the media outlet of censoring conservative views. A local Houston journalist and news anchor was fired earlier this month following a personal Facebook post that celebrated Donald Trump’s presidential victory and blamed increasing racial tensions and violence in America on President Barack Obama. Scarlett Fakhar, an Iranian-American who had worked at Houston Fox affiliate KRIV since September 2015, announced on her Facebook fan page that she had been fired from the news station on Nov. 17. The Facebook post that ignited the controversy and eventual termination came the morning after the 2016 presidential election, when millions of Americans of all political persuasions took to social media to express their thoughts on the outcome of the election. In her post, Ms. Fakhar noted that she “could barely sleep from how happy and relieved” she was at the outcome of the election. Although she never specifically mentioned Trump, the tone of her post made it clear she supported the populist president-elect. Ms. Fakhar went on to lament how America has been going “downhill” under Obama, a point of view shared by millions of Americans. She stated that Obama “has made the entire country hate one another” and criticized how violent crime is covered and discussed in America. “I will not be paying for your laziness,” Ms. Fakhar remarked. Once her personal Facebook post was made public, Ms. Fakhar received criticism from other local journalists and broadcasters, and quickly issued an apology. Since her termination, Ms. Fakhar has criticized her former employer as well as local media coverage of her situation. On Nov. 21, Ms. Fakhar wrote on Facebook that her former station’s “political agenda is becoming more and more clear” in the aftermath of her termination. “I’m realizing more than ever that this was for the best,” she wrote. While patriots like Ms. Fakhar are fired for expressing their entirely uncontroversial political perspectives publicly, and other Trump supporters are violently attacked and assaulted, radical leftists continue to wreak havoc across America. 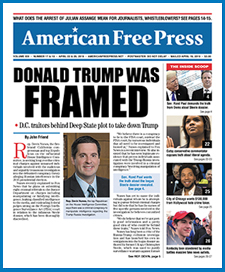 As of this writing, no anti-Trump partisans have been fired or physically attacked for expressing their political views publicly, at least to this newspaper’s knowledge. The double standards and glaring hypocrisy could not be more obvious. What is more amazing is the Houston Chronicle published her comments she made on Facebook that resulted in her firing for expressing her own person freedom of speech involving stories she covered. But when one of the Houston Chronicle news men is sued for libel and getting their fact wrong causing defamation and damage, they claim they were expressing their right of free speech to use the new Texas Citizens Participation Act to have the $10 million libel suit dismissed. Why she had taken a such job in the first place?